NF (4816) - above 4816, resist at 4856 and after that 4910. but trade below 4816, take it down to 4765 & 4734 and after that 4679. BOMDYING (481) - Two close below 498 (one more close require)and stays below 498, targeting to 450 and after that 355-345. 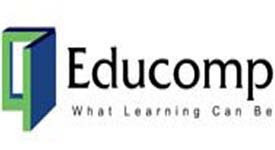 EDUCOMP (450) - As per last post, below 548-538, downside target and strong support at 455-435 level whereas yesterday it came down to 447 and closed at 450. Now what next ? support level of 455-435 is intact, expect pull back 470 and 500. GRASIM (2319) - As per previous post, below 2530, down side first target 2250 whereas yesterday it came down to 2236 and closed at 2319. Now what next ? above 2310 may go upto 2370-2395 and above this level 2460.